Submit your laundry questions below and I'll do my best to give you an answer. In addition, you can share your own laundry cleaning tips. Here are some of the best questions (with my answers) submitted so far, along with some great tips from readers regarding laundry stain removal and laundry supplies. I have a whole section of this site devoted to laundry tips, but I obviously cannot and have not addressed every laundry issue out there. 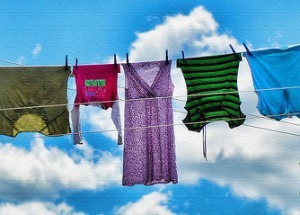 Periodically I get questions from readers asking for some laundry help, so I thought I would create this section of the site, where you could ask questions about your laundry and also share your own tips and tricks about doing laundry with everyone. I will do my best to answer all questions asked, but feel free to jump in and write your own comment if you also have a good tip or idea for someone! The best questions, tips and responses will also get featured on this site! Do You Have A Question About Laundry Or Some Laundry Tips To Share? If you need some laundry help, or have your own tip about laundry to share this is the place for you to do it. Give as much detail as necessary for me to be able to answer your question, or for others to follow your tip themselves. Pictures are not required, but encouraged, especially where this will help explain your question or tip. Your question or tip will appear on a Web page exactly the way you enter it here. You can use some basic HTML if needed, but it is not required. Here are the tips and questions that have already been submitted. Feel free to comment on any of these with your own thoughts and ideas.